The writer recalls a day in 2005 when he made a rare railway trip via the London terminii of Waterloo and Euston. At both locations, the concourses were, as usual, dominated on all sides by huge advertising posters. If you needed to know what marvellous returns you could make by investing your hard-earned salary in this investment bank or that unit trust, or where to go to acquire a top-of-the-range suit, these posters would be in your face the moment you stepped off the train. Or so it used to be. On this day in 2005, I was regaled by several posters blasting out the message that Party Poker was the place to put your money! The immediate reaction was amazement. Even though poker was clearly growing fast, this seemed like an entire takeover of the British commercial engine house! Of course, in Party Gaming's case, they had a bigger than normal marketing drive in conjunction with the flotation of their company stock on the London Stock Exchange. Nonetheless, poker advertising is big bucks in the UK now. The latest poker room to show they mean business is the relatively new but ambitious kid on the block, Canadian company, Everest Poker. 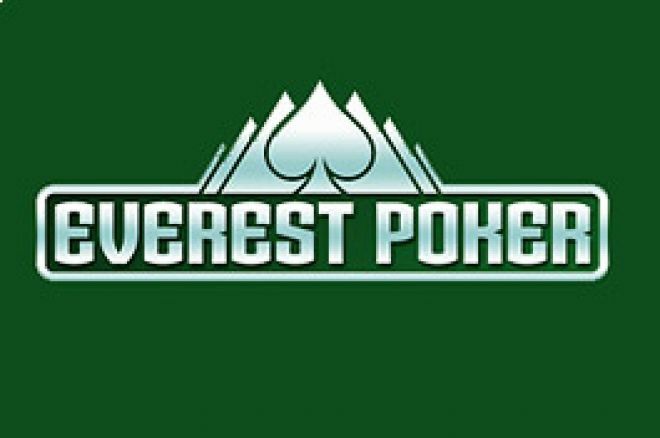 According to sources in the branding industry, Everest is on the lookout for a UK-based advertising agency to help the online poker company to develop and execute a multi-media advertising attack on Europe. It would appear that UK agencies are in demand even if the key area being targeted is not necessarily the UK itself. Everest Poker is understood to be majoring on France and Germany, which markets are perhaps not so well developed, unlike the UK, with its heavyweight gaming all-rounders like William Hill, Ladbrokes, Coral and Bet365 leading the way. Last month, Full Tilt Poker was reported to have opened a multi-million dollar advertising account with a UK agency that already numbers amongst its select list of clients, Argos, British Gas, English Heritage, Heineken, John Lewis Partnership, Tate &amp; Lyle and Toyota. It is true that asking "the man in the street" about poker today elicits responses like "yes, I've read that it is quite popular" or "it's quite big now isn't it". The underlying meaning is that there is still a large untapped market out there. The online poker rooms know it; the advertising agencies know it. Expect a message about poker at your local bus stop very soon!